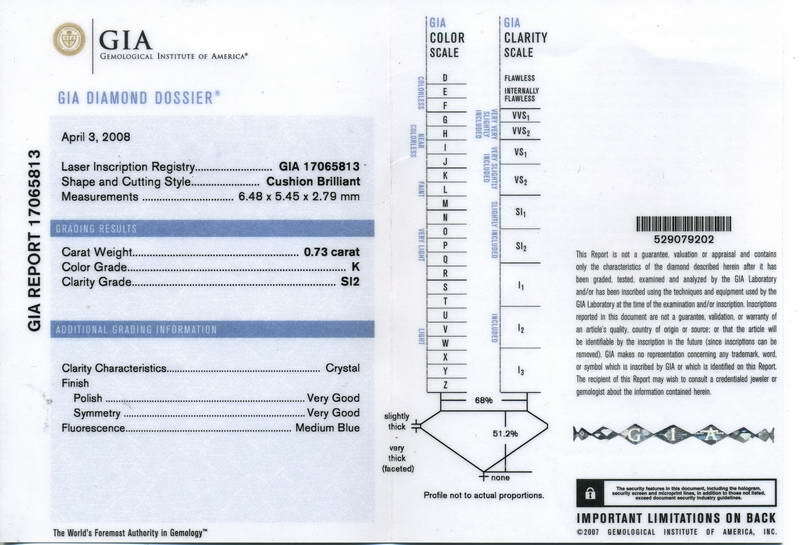 The diamond comes with the GIA Diamond Dossier- which includes a microscopic laser inscription on the diamond's girdle. 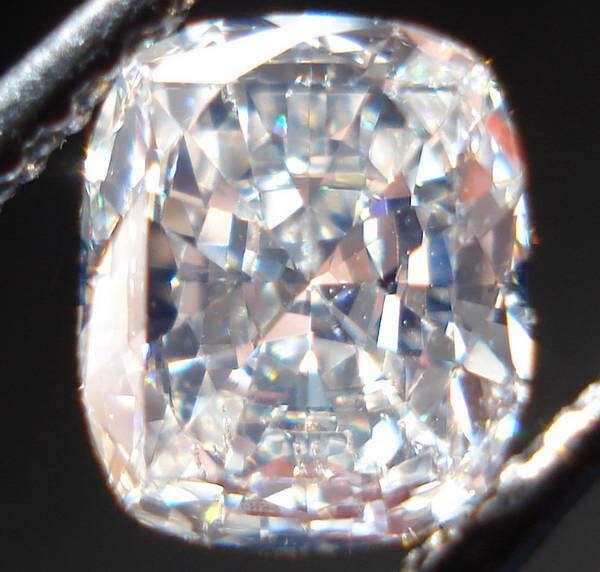 Here's a cool, K color SI2 Cushion Cut Diamond. 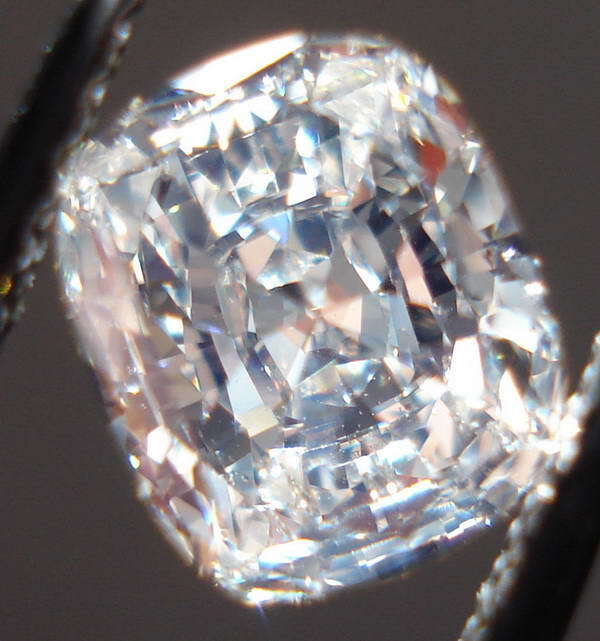 While some may say it's a "compromise" in terms of color and clarity, I se nothing of the sort, when looking at the actual diamond. 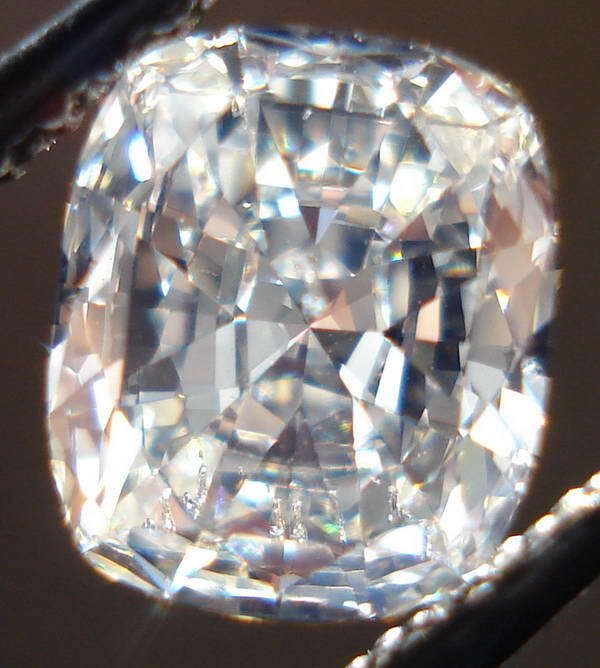 It's bright- looks very large for it's weight, and is totally eye clean. 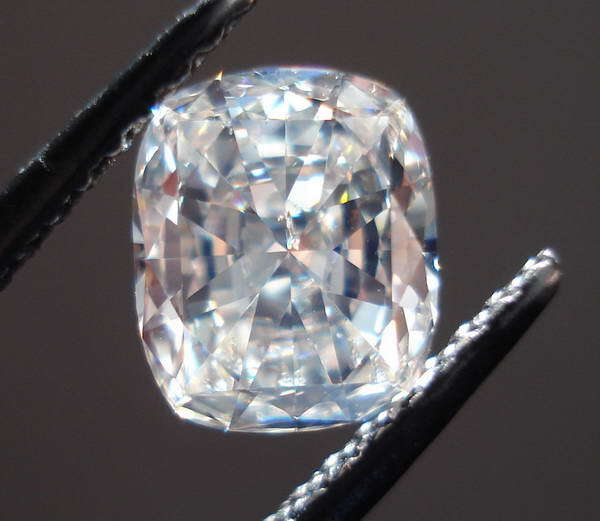 It's a pretty cut as well in terms of it's overall shape. 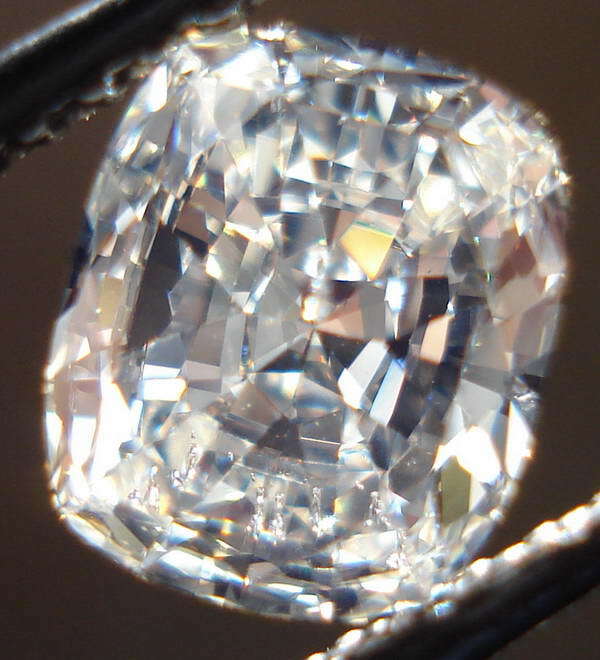 The cut offers tremendous sparkle. 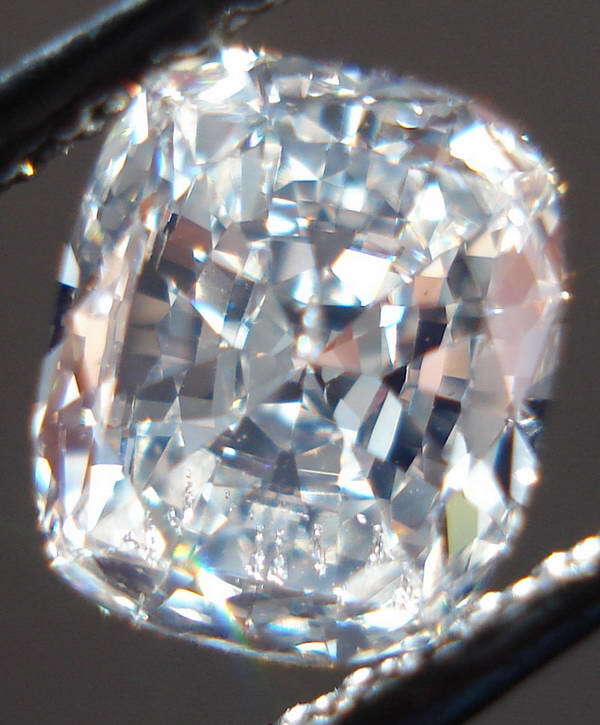 Put it all together and you're looking at a very pretty diamond made a lot less costly due to a GIA grade that you wont be able to notice easily- if at all. It's an eye clean SI2- and the fluorescence makes the K color hard to see. All this makes the stone quite a bargain. 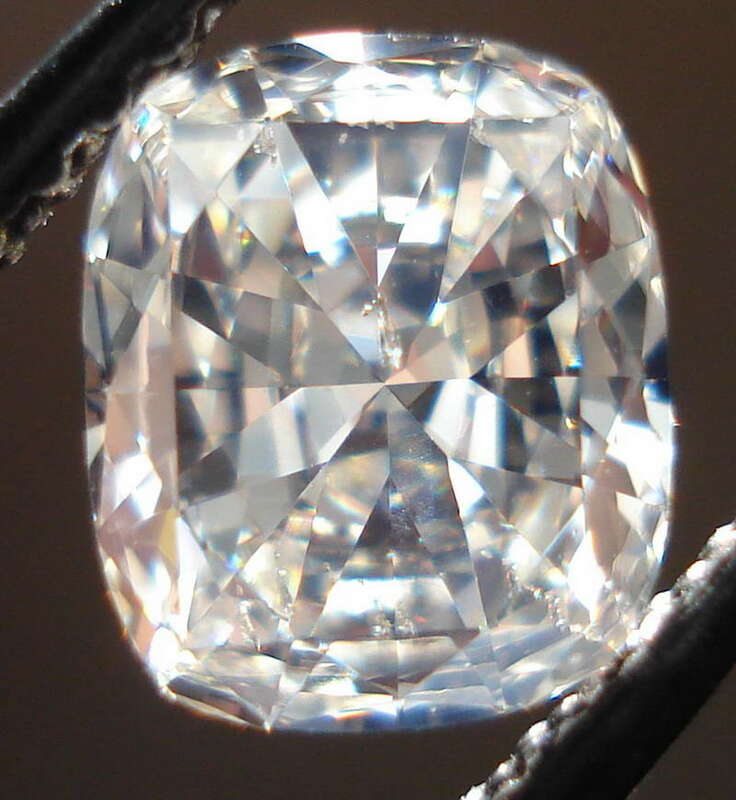 If you like the photos, you'll love the diamond itself. 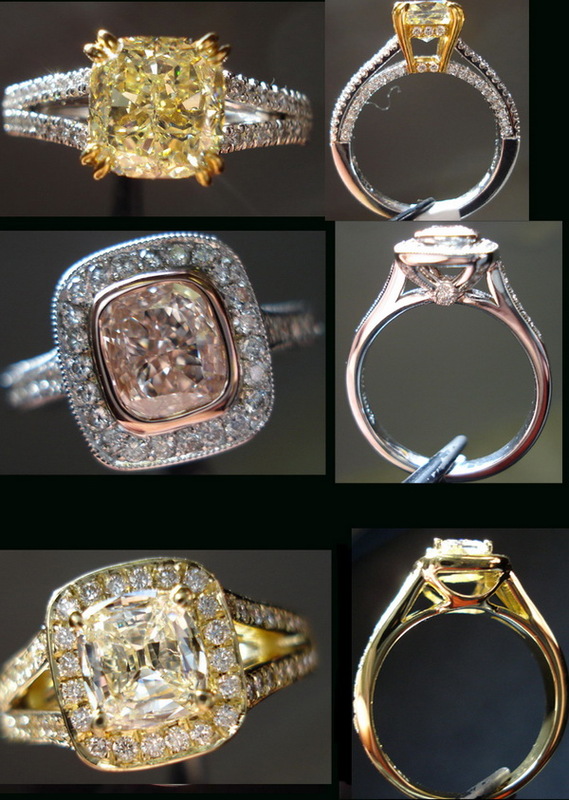 It will look great in a Halo, a three stone, or a man's ring.